How do I search for a test? 1. Click Assessment and then Standard Test from the left hand menu. 2. 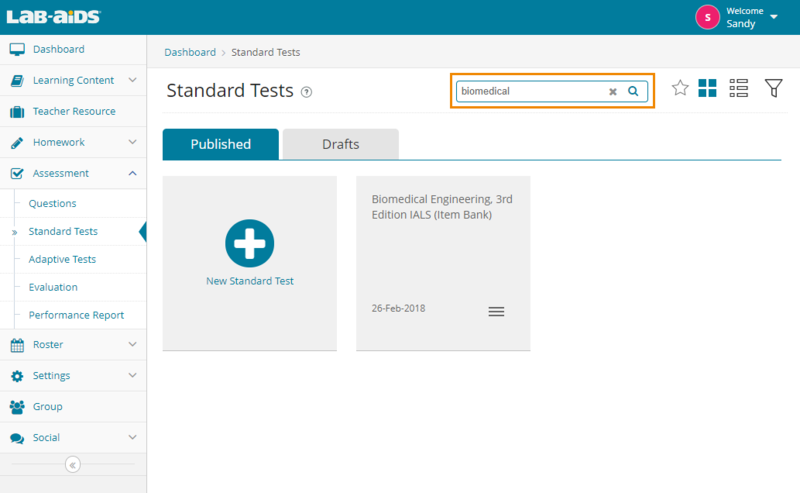 Search for a specific test by typing in the "search" field in the top right. 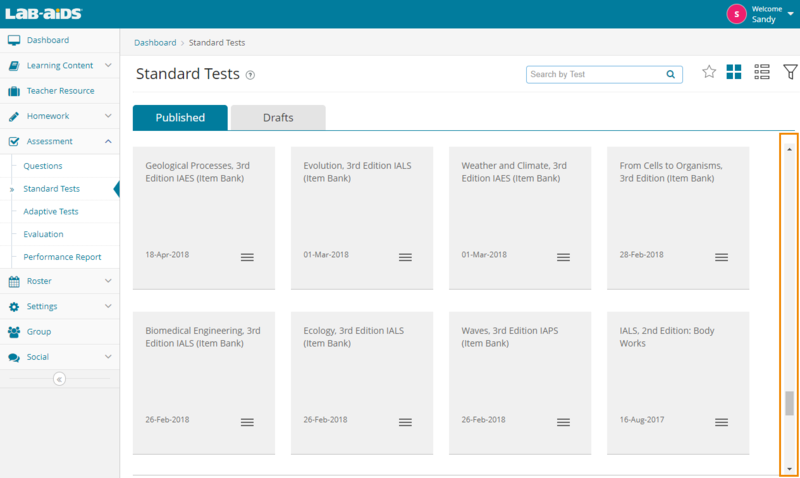 You can also scroll down to view all existing tests.